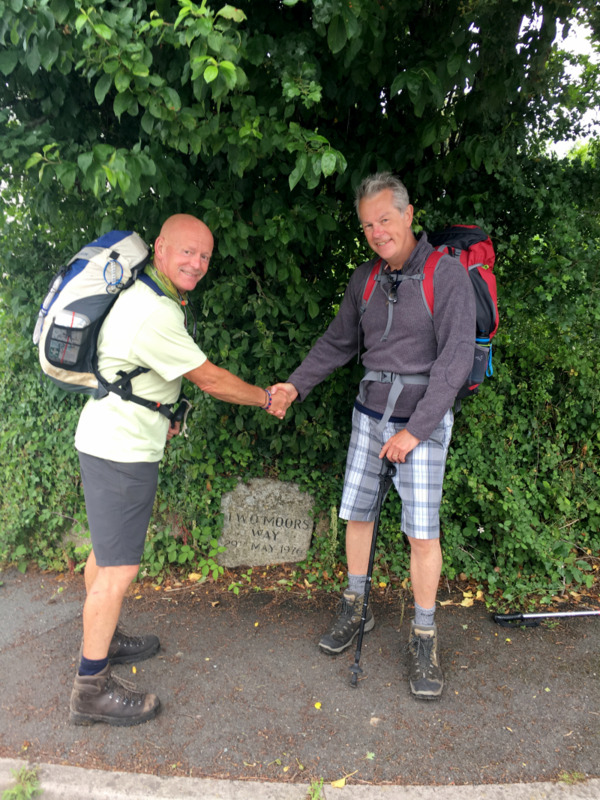 To help celebrate the Rainy Day Trust’s 175th anniversary and fundraising drive, a team from Decco’s Newton Abbot branch including the manager, Keith Willey embarked on the-100 mile walk across Exmoor and Dartmoor, which is known as the Two Moors Way. Keith was accompanied by colleagues, Martin Valuks and Barry Kennings. The trek took four-and--half days and raised £650 for the Rainy Day Trust. Describing the experience, Keith Willey said: “We started in the beautiful coastal village of Lynmouth, north of Exmoor and finished in the town of Ivybridge on the southern fringes of Dartmoor. The first day was pretty exhausting, with a constant climb of over 1,500ft before levelling off into a 14-mile walk to Withypool, where we stopped overnight. The Two Moors Way walk was just one of a series of fundraising initiatives being undertaken by Decco personnel – all in aid of the RDT 175th Anniversary appeal. [Caption] Keith Willey and Barry Kennings pictured at the start of the adventure.